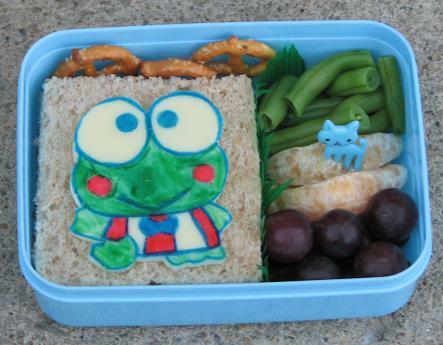 Kidlet loved his Pankunchi bento so much that I thought I would do a few more Sanrio friends. Here is Keroppi! Ahh, Keroppi is my favorite! Well done job!